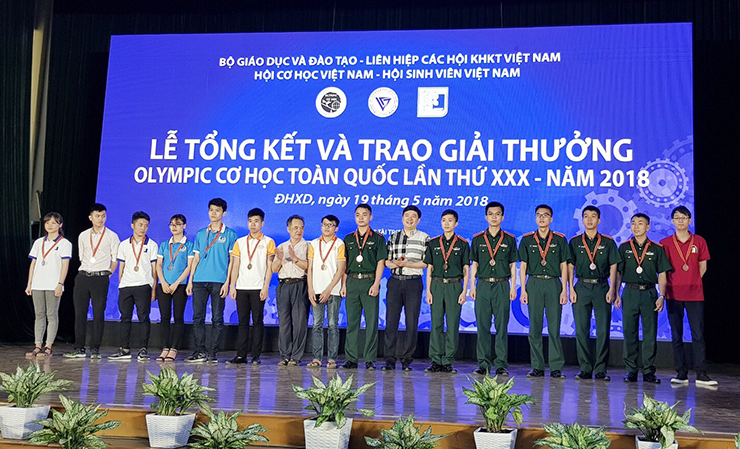 In the morning of May 19, 2018, at the National University of Civil Engineering, the Vietnam Mechanics Association (VMA), under the sponsorship of the Vietnam Union of Science and Technology Associations, organized the closing and awarding ceremony of the National Olympiad of Mechanics for students all over the country. The competition aims to promote the study and research of the mechanics, to develop and to promote the talents in universities and institutes. CONINCO is honored to be the sponsor of this National Olympiad Mechanics Contest. Attending the ceremony, there were Dr. Phan Tung Mau - Vice President of Vietnam Union of Associations, Prof. Dr. Nguyen Tien Khiem - President of Vietnam Mechanics Association, Mr. Pham Xuan Anh - Vice Rector of National University of Civil Engineering. Regarding CONINCO, there was Dr. Ha Minh - General Director of the company. In 2018, the Contest attracted 1262 students from 39 univerisites for participating and competing in 7 subjects of traditional writings: Mechanics, Strength of Materials, Structural Mechanics, Hydraulics, Mechanics of Soil, Machine Principles, Machine Parts, and 5 subjects of Applied Informatics in Mechanics, including Applied Informatics in Mechanics Engineering, Applied Informatics in Machine Principles, Applied Informatics in Machine Parts, Applied Informatics in Strength of Materials, Applied Informatics in Structural Mechanics. The organizers also selected and awarded 205 winners, including 15 First Prizes, 65 Second Prizes and 125 Third Prizes. 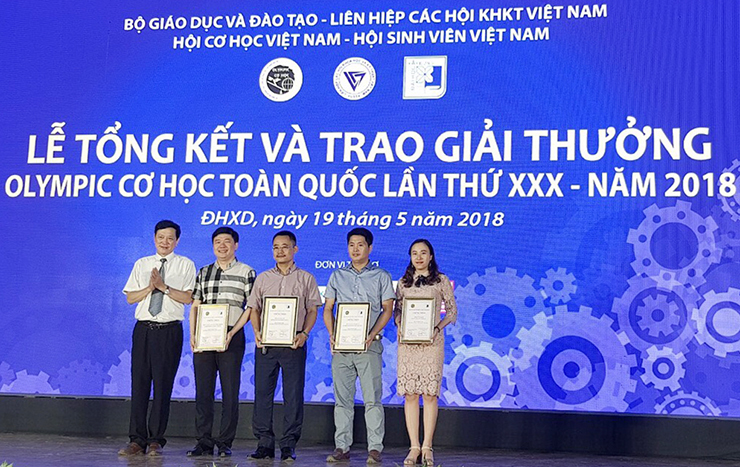 Among the students who won the prize, the Organizing Committee also selected two best students and awarded the prize from the Nguyen Van Dao Mechanical Fund, to Mr. Nguyen Minh Nhat of the Military Technical Academy who won the first prizes in both subjects and Mr. Le Van Hung of the University of Transport and Communications who won the first prize with the highest score. As the sponsor for the Contest, Dr. Ha Minh - General Director of CONINCO congratulated the achievements of the students and teachers in the 30th National Olympiad of Mechanics. Dr. Ha Minh also shared that CONINCO always desires to encourage and promote young talents, create a premise for students to be creative and become scientists in the future, contribute to building and developing the country.